For now, I prefer to keep anonymous, although I may add additional details to this page later. My political views are a mixture of conservative and libertarian. I believe in free market capitalism and liberty, and especially in religious liberty. I favor a strong defense abroad, “peace through strength”, as Reagan would have it. Theologically, I am a conservative evangelical Protestant Christian. I favor the old-earth (14 billion-year universe) perspective, and I am a firm supporter of intelligent design. Socially, I am pro-life, pro-chastity, pro-abstinence and pro-traditional-marriage. You can contact me by e-mail. I am trying to avoid spam, so you have to substitute the @ for (at) below and a period for the (dot) below and squash all the words together so that there are no spaces between the words. I.e. – remove the spaces spaces between the words. Thank you. I will not publish your e-mail unless you ask me to publish it and reply to it. You can follow the blog here. This is the link to the RSS feed. “The Hobbit” (Tolkien). The story of the dwarves and their hobbit burglar traveling to defeat the dragon and get back their treasure is one reason why I moved far away to work.”The Problem of Pain”, especially the chapter on “divine benevolence”, because it taught me that to love someone means to make them better. “Cyrano de Bergerac” (Rostand), “A Man For All Seasons” (Bolt). These taught me that men are manly when they stick to their convictions no matter what. “Homosexuality and the Politics of Truth” (Satinover), “Fatherless America” (Blankenhorn), and “The Unexpected Legacy of Divorce” (Wallerstein). These books taught me that adult selfishness conflicts with the needs of children. “Heroes of WW II” (Murphy), which is about every Medal of Honor recipient during World War 2. It taught me to be grateful to those who serve in the military, and the importance of giving our troops the best equipment and weapons. “Scaling the Secular City” (Moreland) and “Reasonable Faith” (Craig), “The Creator and the Cosmos” (Ross), “Darwin on Trial” (Johnson), “Reason in the Balance” (Johnson), “Love Your God with All Your Mind” (Moreland). These were some of the earliest books I read on apologetics. “Show Me God” (Heeren), “God and the Astronomers” (Jastrow), “The Privileged Planet” (Gonzalez and Richards), when I got interested in science apologetics. “Politically Correct Death” (Beckwith), which explains how to make the pro-life case. “The Proper Care and Feeding of Husbands” and “Stupid Things Parents Do To Mess Up Their Kids” by Dr. Laura. These taught me to dislike radical feminism, and to view marriage and family as important and subversive. Most recent book I read: “The Sacred Search” (Thomas). 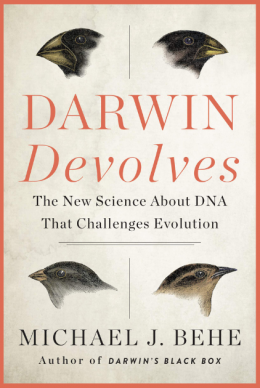 To-read: “Signature in the Cell” (Meyer) and “Darwin’s Dilemma” (Meyer), and “The Resurrection of Jesus” (Licona). Lectures and debates with William Lane Craig absolutely transformed my life. I own about 200 audio lectures on apologetics and intelligent design. They came from The Veritas Forum, Stand to Reason, Biola University’s apologetics program, Access Research Network, and Reasons to Believe. These lectures made me focus my life on organizing and funding Christian scholars to speak and debate at universities and churches. The first radio shows that I listened to were Dennis Prager and Hugh Hewitt. That was when I started to care about politics. I started to read books on economics (Thomas Sowell), culture (Theodore Dalrymple), pro-life (Scott Klusendorf), foreign policy (Frank Gaffney), law (Mark Levin), media bias (Brent Bozell), etc. My favorite movies are “Cyrano de Bergerac” (both the Gerard Depardieu and the Jose Ferrer versions), “High Noon” (Gary Cooper), the BBC’s “North and South”. Other favorites: “Rules of Engagement”, “Bella”, “The Lives of Others”, “Taken”, “Cinderella Man”, “The Blind Side”, “Amazing Grace”, “Stand and Deliver”, “Blackhawk Down”, “Lone Survivor”, “The Pursuit of Happyness”, “A Man For All Seasons”, “The Scarlet Pimpernel”. I love old war movies: “Mrs. Miniver”, “Sahara”, “Decision Before Dawn”, “12 O’Clock High”, “The Dam Busters”, “The First of The Few”, “The Silver Fleet”. 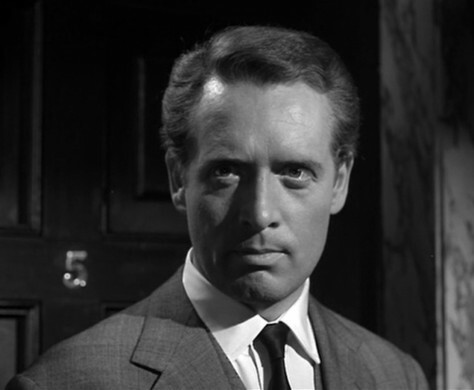 My favorite TV character is John Drake, who appeared in “Danger Man”, and later “Secret Agent”.